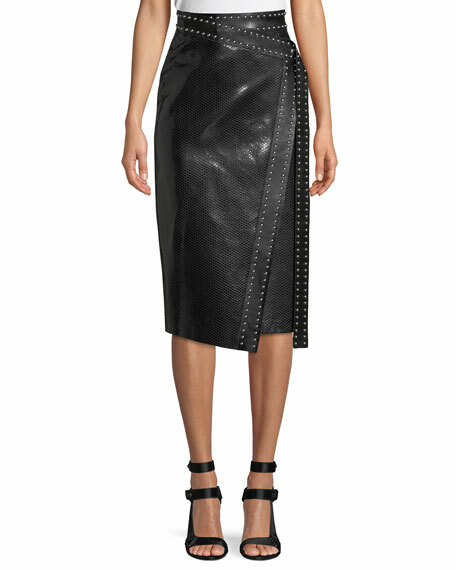 Miu Miu leather skirt with bow detail. 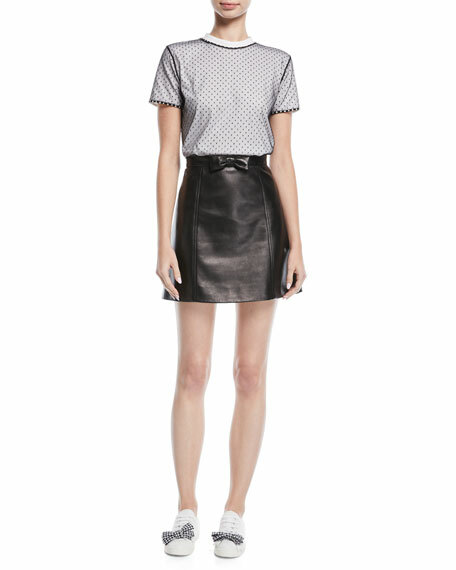 Commando "Perfect" midi skort shaper in faux leather finish. Signature internal waistband creates seamless silhouette. Shapes your waist, tummy and hips. Formfitting silhouette. Hits below knee. Nylon/spandex. Machine wash. Made in USA of imported material. 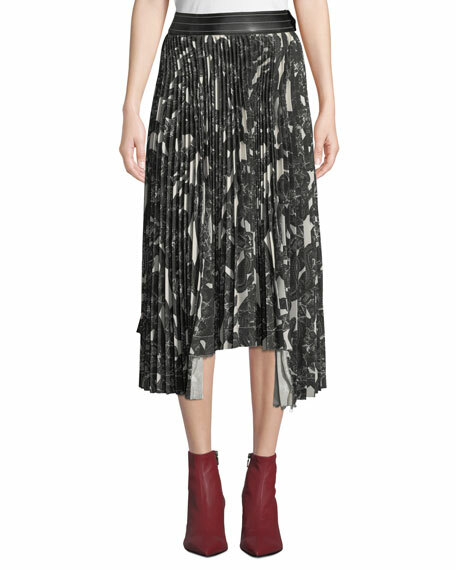 Helmut Lang pleated skirt in snake-print. Lamb leather waistband; snap closure. A-line silhouette. 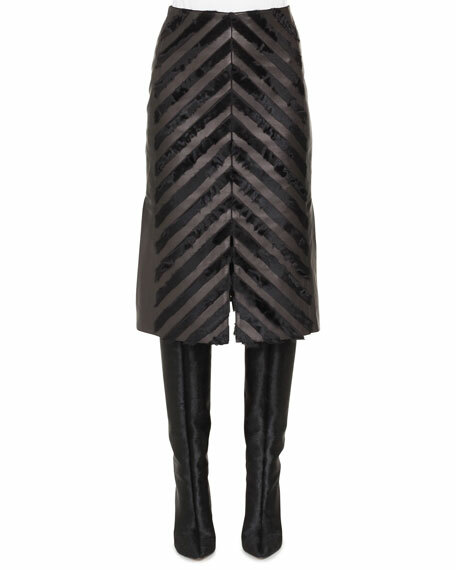 Asymmetric, raw-edge hem. Midi length. Polyester. Dry clean. Imported.